Bayside Pedestrian Accident Lawyer Review: Tracy B. Home / Case Results / Bayside Pedestrian Accident Lawyer Review: Tracy B. On the evening of January 17, 2017, Tracy was walking to work. As she was walking across the pedestrian crosswalk at 26th Avenue and Corporal Kennedy Street in Flushing, New York, a speeding driver turned left without yielding and struck Tracy. Thankfully, a police officer was at the same intersection and witnessed the entire accident! Tracy was taken by ambulance to NewYork–Presbyterian Hospital in Flushing, New York where she was treated and released. As a result of the accident, Tracy injured her neck, lower back and left shoulder. She missed about two months of work because of the accident, which made the financial burden of medical bills and daily expenses that much heavier. Thanks to a close friend of Tracy, she got the phone number to call The Case Handler! Our team immediately helped Tracy locate a convenient location to receive therapy treatment (with some trigger point injections). 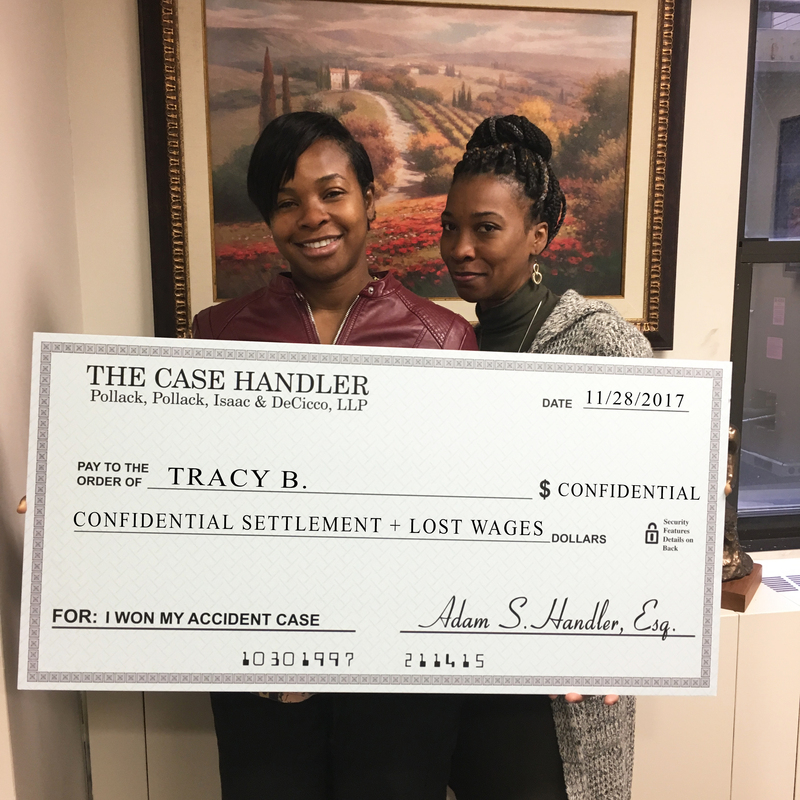 With The Case Handler team, Tracy was relieved of the financial burden and got the treatment she needed. In less than 10 months, Adam Handler successfully helped Tracy settle her pedestrian accident case AND recover all of her lost wages AND recover money for medical bills!